The heated exchange of words between US President Donald Trump and North Korean leader Kim Jong-un is being broadly discussed by journalists and government officials attending the 72nd UN General Assembly in New York. 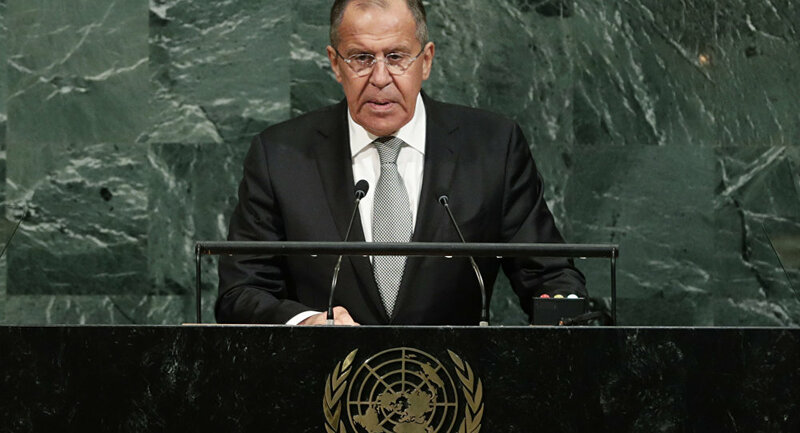 Russian Foreign Minister Sergey Lavrov voiced Moscow’s position on the North Korean problem. "If we talk about the exchange of threats, naturally — it's quite bad, it's unacceptable to simply sit back and look at nuclear military gambles of North Korea, but it's also unacceptable to start the war on the peninsula." The essence of Trump's UN speech was his promise to "totally destroy" North Korea if it threatens the US and its allies. Met with defensive rhetoric from Pyongyang, yet another round of the war of words between the US and North Korean leaders developed. 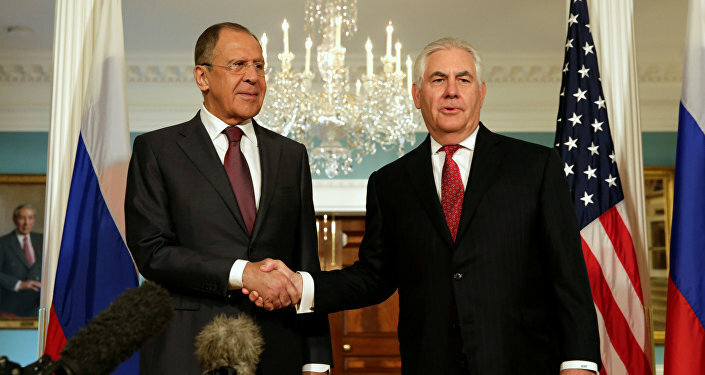 Russia reacted in a balanced way, suggesting that war on the Korean Peninsula is not an option and both Washington and Pyongyang must look for a diplomatic solution. Lavrov is certain that neither North Korea's display of power nor Washington's war drums are helping resolve the problem. Lavrov spent last week in New York meeting with his foreign counterparts on the sidelines of the UN General Assembly. He says Russia, like China, is convinced that the crisis should be dealt with in accordance with a roadmap introduced by Moscow and Beijing in July. "We do not see any explainable reasons why anyone, including our US partners, cannot work along the lines of this roadmap. I'd like to remind you that the roadmap is largely in line with those ‘Four Nos' that were formulated by Rex Tillerson about a month ago." The US declared that its "Four Nos" policy toward North Korea relies on four key principles: the US does not seek regime change, does not seek regime collapse, does not seek accelerated reunion of the peninsula, and does not aim to send US forces north of the demilitarized zone. The 72nd session of the UN general assembly will probably go down in history as Trump's first appearance before the international organization. Trump spent almost a week in New York, and his presence was felt not only because of the increased security measures, but also because of his fans and opponents taking to the streets of The Big Apple. As Trump was giving his UN speech, just two blocks away from UN headquarters, Rob Cortis, who is touring across the US in his custom-made truck with pro-Trump slogans, was met by sympathetic locals as well as by those who oppose Trump. The General Assembly will continue until September 25. Besides international relations, it focused on education, social development, trade, human development and environmental issues.